In rendering mobile apps for diverse platform test automation plays a very important role and this is evident in the increasing interest and focus of enterprises in application testing. This is also the reason why automated testing services are being provided by many enterprise mobility solution providers. Mobile App Testing Automation ensures the key advantages like minimizing the time for test execution, covering larger areas of app aspects in less time, avoiding regression issues with repetitive runs, etc. Most important of all, it minimizes the chances of human error when going through the testing phase. Appium is a cross-platform open source mobile app testing tool that gained popularity among developers because of unparalleled versatility and superb reliability. Appium is a versatile, reliable and developer-friendly, open source test automation tool for mobile apps. Developed to support all major platforms, including iOS, Android, Windows and Firefox OS the tool has gained wide attention and popularity thanks to its reliable architecture and ease of deployment. To interact with the apps on iOS and the Android platform, it makes use of JSON wire on Selenium WebDriver. Obviously, for automation testing you have several other Mobile App Test Automation tools in the market today, such as KIF, MonkeyTalk, Calabash and Frank. But what makes Appium the chosen one among them? Well, while most of these tools need an extra agent for compiling the code with core app code for the sake of interacting with the app, Appium can do without such agent. Before submitting your app to the App Store you need to remove the compiled agent codes. Thus, it results in testing an app which is different from the one submitted to the app stores. Appium as a sophisticated mobile automation tool offers unparalleled advantages compared to many other tools. How can VOLANSYS help their customers in Automated Testing with Appium? VOLANSYS is an enterprise mobility company that has benchmarked mobile automation processes. With experienced mobile testing professionals and robust testing infrastructure, we at VOLANSYS can ensure testing your enterprise apps as per international standards. We actively endorse Appium as a reliable automation testing tool for enterprise apps. With an enterprise mobility experiencing rapid growth, the role of fast paced, reliable and less complex automation testing tools like Appium became more prominent. Do you need an automation testing for your enterprise app? Drop us a message at [email protected] or give us a call on +1 510 358 4310. 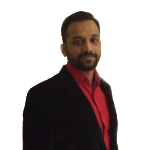 Deepak works with VOLANSYS Technologies as a Sales Manager. He interfaces with enterprises, technology providers and start-ups to help build amazing products and solutions in the domains of IoT, Medical, Consumer Electronics, Multimedia, Wireless Connectivity and Digital Networking.